Sodastream is a home soda maker that allows you and your family to make your favourite soda drinks in the comfort of your home in seconds. The entire system includes Sodastream equipment, flavored syrups, gas (C02) cylinders and bottles. The goal of Sodastream system is to offer customers the choice of reducing plastic bottle waste and providing an environmentally-friendly product. The product is easy to use from the initial setup to inserting the CO2 bottle to the Sodastream unit. The ability to add carbonation up to the point where the Sodastream "buzzes" or "burps" allows the user the option to control the amount of carbonation. You can add less carbonation before the Sodastream maxes out, in which case you won't hear the warning sound, but when you do this, you create carbonated drinks which have varying amounts of carbonation in them. If you desire less, you can make carbonated drinks with less. In order to make the soda, you need to use syrup calls "soda mix". 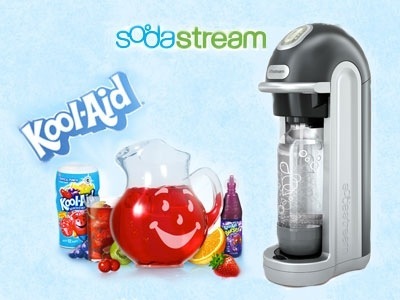 Sodastream system offers a variety of soda mixes in both regular and diet forms. The regular mixes are actually combination mixes with artificial sweetener and real sugar. In our review package, we received three flavors Country Time Lemonade, Tropical Punch Kool-Aid and Crystal Light Fruit Punch. 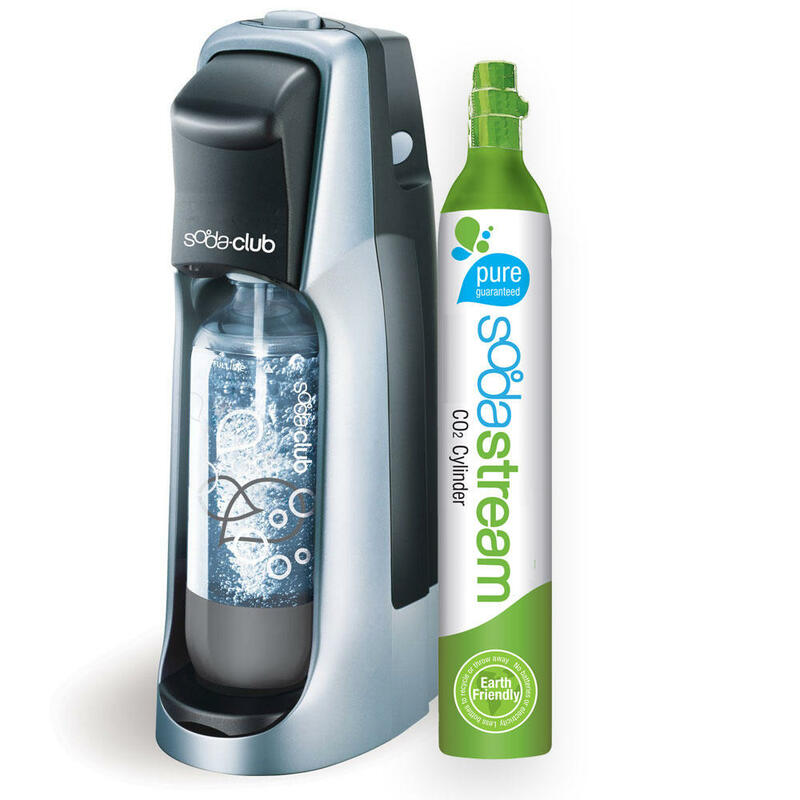 The Sodastream diet syrups are low sodium or sodium-free, and sweetened with sucralose instead of aspartame additives. For those who don't drink diet drinks, the non-diet syrups are sweetened with a cane sugar-and-sucralose mix, instead of high-fructose corn syrup, so they're much lower in calories than name brand sodas. Soda mix can be purchase at various locations such as London Drugs, Home Outfitters, The Bay, Walmart and Canadian Tire and many other retailers and range in price from $7.99 to $9.99. Once your C02 bottle is used you’ll need to purchase a replace unit from an authorized retailers. Many retailers now participate in the “Cylinder Exchange Program”. Simply take your empty C02 bottle to one of the retailers and purchase a C02 bottle that has already been refilled. We exchanged our C02 bottle at London Drugs and paid $17.99.